With a big brother like Saturn, the Satellite coffee bar side is bound to get overlooked. It’s bright but not flashy, a lounge rather than a party. But Satellite has built its own quirky atmosphere beyond its bar and coffee shop components. It offers something no place in Avondale does, blending the area’s nostalgic bent with a futuristic spirit. Satellite is not your average Avondale joint. Its finishes lean smooth and its only exposed brick is exterior. It resides in a foodie neighborhood yet sells foodstuffs like gourmet doughnuts prepared by outside vendors. On the surface, it shouldn’t work, but it respects the one most important Avondale essence: a sense of fun. From its rocket trash cans to its video games, its Tang-based frozen cocktail to its Sunday cereal brunch, it satisfies your inner child and the adult you’ve become. That’s the basis of hipster culture, after all, whether in handmade pop tarts or Moscow Mule mugs. And Satellite is one more example of why Avondale won the statewide “Brooklyn” title. Satellite also fills a pretty practical entertainment need, in the end: a place with fun cocktails that more than accommodates the non-drinker. Your pregnant best friend may want to hang out after hours, after all. Or you may want to get your kid a craft soda while you enjoy something more adult. Satellite is just the place. Its more traditional coffee shop function–fueling the side-hustle–may become less important as the MAKEbhm co-working space evolves, but it’s equipped nevertheless. The shop’s website boasts a bar with integrated charging stations. More important is the air of gleeful creativity, from space-age decor to shared Saturn ethos. It’s a place waiting for your next big idea to land. In the meantime, we love the Stumptown coffee, and we’ve heard great things about that Tang cocktail. It’s a Steva Casey creation, after all. If Winslet & Rhys is like shopping an art museum, Open Shop Woodlawn is retail as modern art installation. 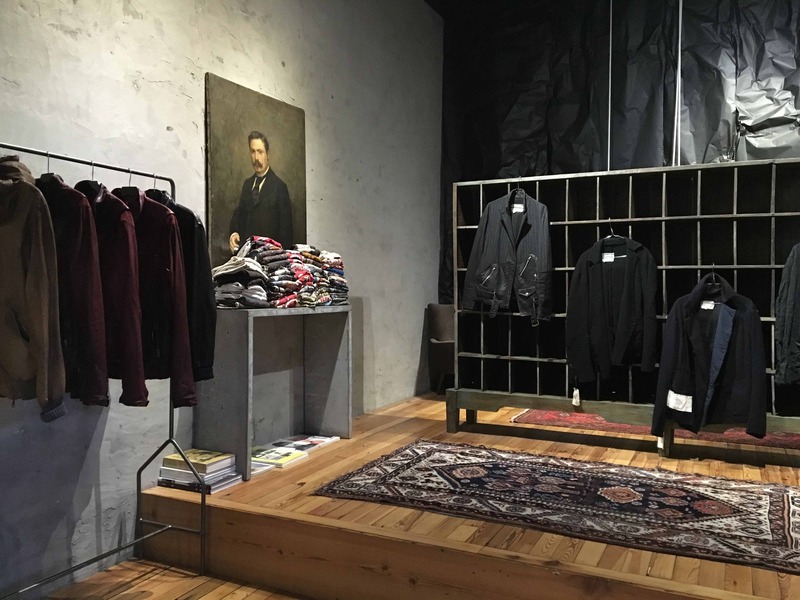 From the irony of its exterior design to the studied androgyny of its wares, there’s something incredibly cerebral about the Open Shop shopping experience. Owner Armand Margjeka also owns personal care/coffee supply offshoot Public Office and co-owns Woodlawn Cycle Cafe, yet he’s opted against an obvious common brand. Where the cafe’s interior is a window-lined white, Open Shop’s is deliberately dark and devoid of natural light. But instead of a goth-inspired den of depression, the darkness is an interesting shift in focus. Like shopping an artist’s closet rather than a standard boutique. It also adds an air of gritty masculinity to the atmosphere. Items range from minimalist backpacks to art books, collarless blazers to chunky wool sweaters. It’s technically menswear, but the simple lines and classic motifs of the button downs and sweaters could just as easily attract female customers. In fact, that was the conversation we overheard at the cash register–that female customers end up with some of the store’s thick wool sweaters. And it’d be hard not to envy the wonderfully sculptural approach to clothing display. There’s no making your way through strategically scattered clothing racks. Instead, large oriental rugs and a sofa in the perfect shade of chartreuse occupy the shop’s center. The hanging racks and shelving along the walls are so stripped down you can’t help but focus on an individual item’s artistry. If anything’s emblematic of Woodlawn’s hip business energy, it might be Open Shop. Because this burgeoning district is about a shift in focus. About a viscerally different, yet wonderfully charming, idea of how development can look. In a way, in might be the most personally artistic neighborhood in the city, because it’s so full of individually unique visions. This is part II of our weekend in Woodlawn series. 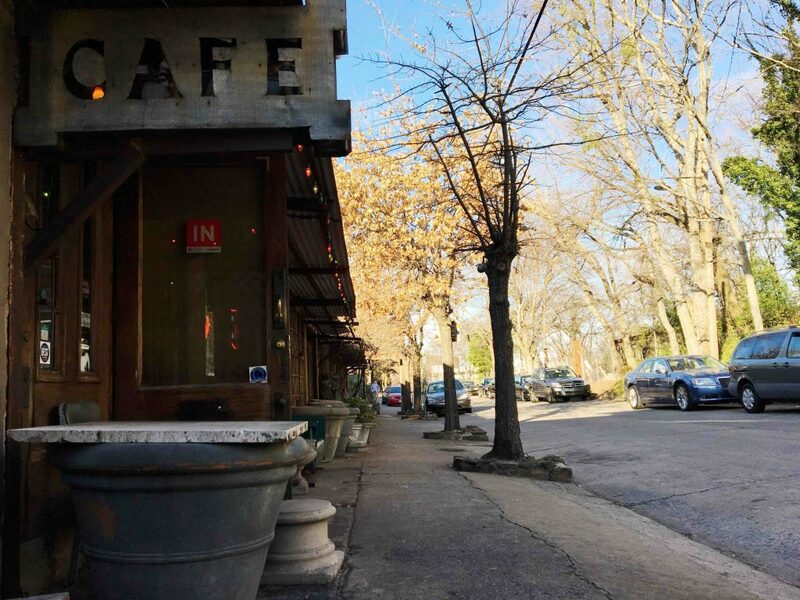 Check out Monday’s post on Woodlawn Cycle Cafe brunch, and check back Saturday for our final post on Public Office. We fell for Big Spoon Creamery over scoops of green tea ice cream, and our feelings deepened over pints of Rocky Ridge Road. We catch their truck, Bessie Blue, around town from UAB to Pepper Place, but it’s nice to know that they’ve finally found a non-mobile home. 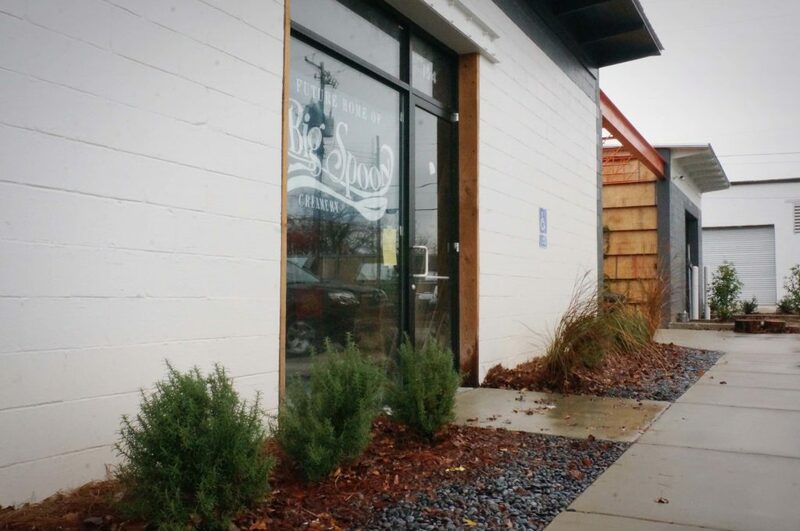 The Big Spoon Creamery storefront will hit our beloved MAKEbhm complex in Avondale this spring, in a just-right real estate fit. Big Spoon’s ice cream is everything we love about Birmingham right now, in a pint-size package. Or sandwich, depending on your preferences. Its flavors capture the essence of local food seasons plus the more adventurous palate of Birmingham’s urban foodie culture. The same could be said of Avondale, which encapsulates the blend of urban ideas and Southern charm that helps define this Birmingham moment. It’s a new guard with a long heritage, much the way Big Spoon owners Ryan and Geri-Martha O’Hara cut their teeth under Frank Stitt. The Stitt lineage is something Avondale has in common with Birmingham’s downtown food scene, and we often ponder how best to differentiate the two. What we’ve settled on before–and what we’ll turn back to now–is Avondale’s food truck spirit. Ice cream trucks are some of the original food trucks, after all. And on the off chance you’re still in need of a last-minute Christmas gift, we humbly suggest Big Spoon. Gift cards are sold in person, which makes it too late for that. But an online order for mini ice cream sandwiches is cheer that lasts throughout the year. At least what’s left of it. Remember that time Keith Richards wore a Heart of Dixie t-shirt? Avondale’s Yellowhammer Creative was responsible, at least originally, for that moment of Alabama love and certainly fittingly. The design/print shop articulates a modern heritage vibe fitting for a new Birmingham. 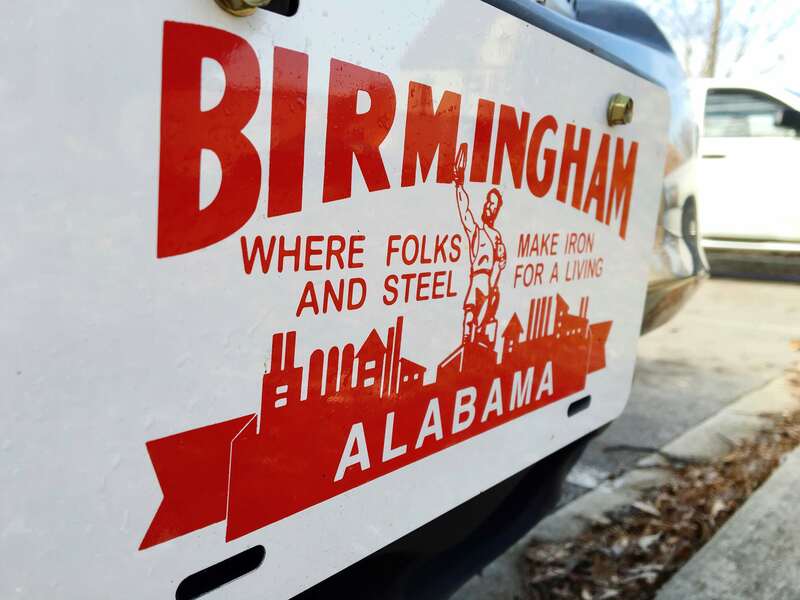 Their deceptively simple designs feature bright colors and bold graphics, bringing a modern eye to classic Birmingham symbols. But the letterpress and screen printing methods keeps their work honest. Instead of crisp digital lines, it gives their work an endearing imperfection. Full of nostalgic inspiration, their work explores what we were to help define who we are now. There are the vintage-inspired posters for the Alabama Theatre’s film series–quite possibly the best local brand collaboration–and the Vulcan items in its museum gift shop. That emphasis on local landmarks makes Yellowhammer Creative our go-to for gifts to out-of-towners. Our recent visitor from the other Birmingham even showed off her own Yellowhammer tote on Instagram. It’s fitting that Yellowhammer is in Avondale, which went from no one’s radar to “Birmingham’s Brooklyn.” It’s at the heart of the indie scene that’s charming a nation with a Southern-fried hipsterism that reads more laid back. Avondale’s bearded and letterpressed, sure, but less precious than your Williamsburgs or Portlandias. It’s low-profile but earning plenty of press. 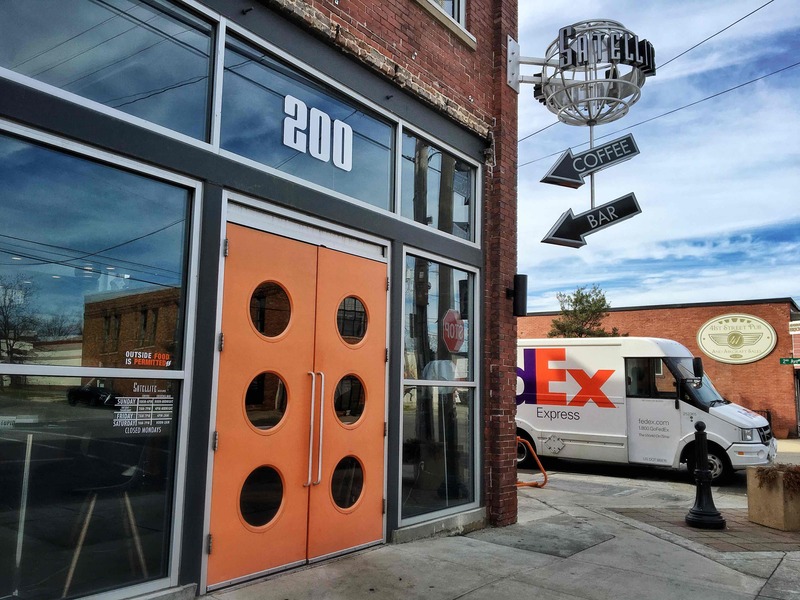 After all, Yellowhammer Creative is only part of Avondale’s modern heritage vibe. Post Office Pies, Rowe’s Service Station, and Fancy’s on Fifth all tip their hats at the Birmingham that once was, refusing to relegate the past to forgotten history. Its independent storefront is small, but that’s also fitting for a neighborhood to host Box Row. The space is simple stacks, a rolling rack or two, and lots of poster wall art in a plain mid-century building on what will surely be Avondale’s next big push. But these guys are all over the city, and we’re glad to have them. 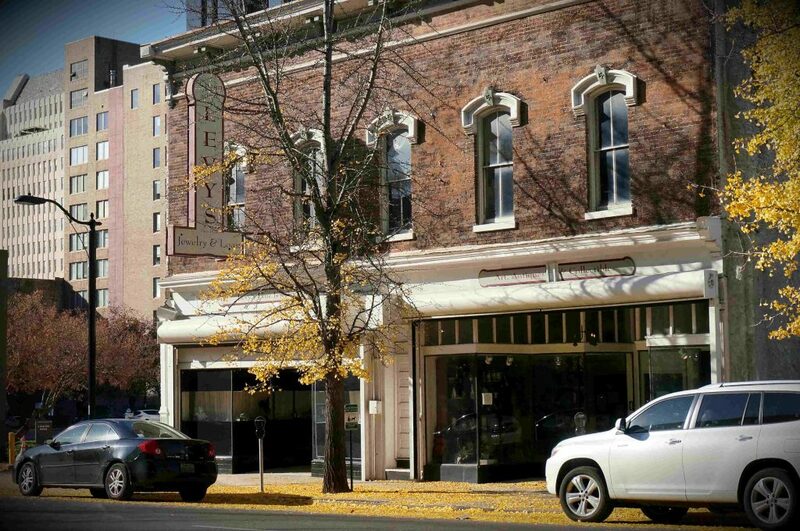 In fact, we’ll soon have them as neighbors at a grandly renovated Pizitz Building downtown. Natural pet food and spoil-your-pet treats are among the many things that used to require an over-the-mountain trip. Then Sheppard’s Pet Supply came along, combining east side convenience and small business charm. Its new Avondale location still has those things, plus easier access and, says owner Will Sheppard, room for twice the stock. A mere half-mile west of its old Crestwood North location, Shepherd’s Pet Supply is the first new tenant at the Family Dollar shopping center now owned by the same trio as the Shoppes of Crestwood. He’ll be joined by others, including Tropicaleo and an aerial pilates studio, owner Will Sheppard told us. He’s already been joined by a rescue shop cat named Declan. Sheppard himself is just as charming, combining social media and pop culture references with old-fashioned most-hours customer service. If he doesn’t stock what you’re looking for, may be able to order it for you. And if changes in hours threaten your pet’s food supply, he’ll work out a delivery arrangement. He’s the guy you’d happily have a beer with. And you can–this is the only pet store we know of with an in-house kegerator. It’s worth following the shop’s Instagram feed for a reminder of how much small-town community our urban neighborhoods can offer. Sheppard’s new location, at the crossroads between Avondale and Crestwood, is one more sign of how those areas are beginning to overlap. 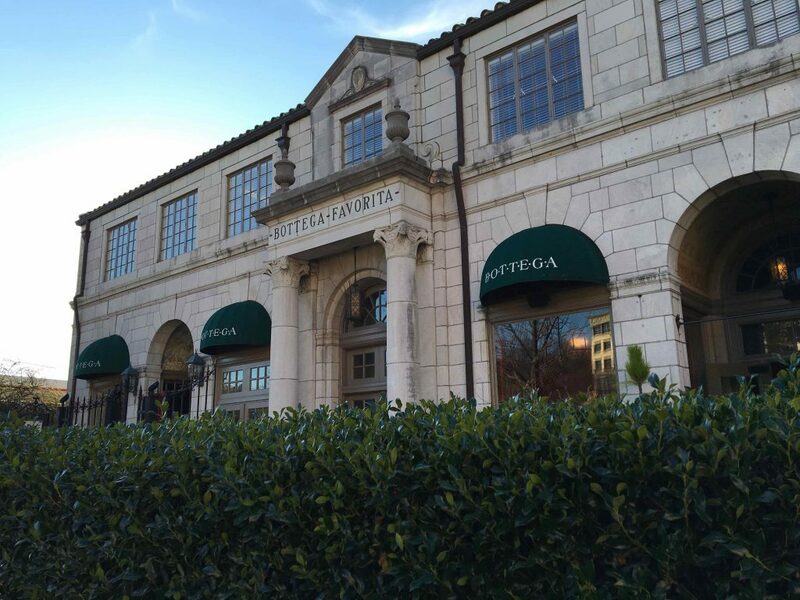 And what a charming, better-than-suburban area Birmingham’s east side is turning out to be. What do you get when you put a musician-plus-artist, husband-and-wife team Duquette and Morgan Johnston together creating a small boutique in Woodlawn? Club Duquette brings you creatives’ essentials for everyday living. There have been a series of slick new offerings in Woodlawn, from the food and drink at Woodlawn Cycle Cafe to the unexpected combination of hair care and coffee products at Public Office. Club Duquette is in that latter vein, crafting a business model out of an owner’s unique set of product interests. And that just might be Woodlawn’s genius development. 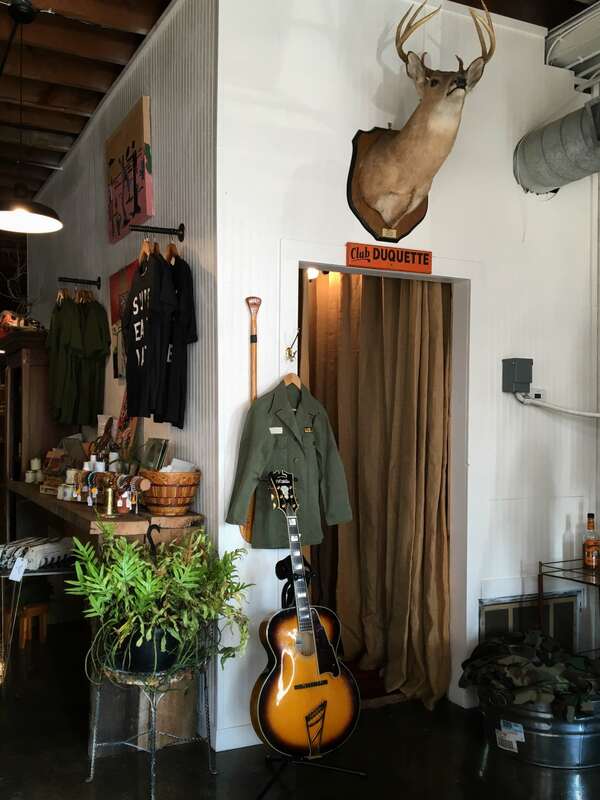 With Duquette’s background as a touring musician, it’s no surprise that store clothes lean toward classic casual Americana. There are tee shirts and denim, field jackets and plaid, in hues that work onstage and in real life. And at Club Duquette, a basic tee shirt has a bigger story: Duquette said part of the proceeds from their Woodlawn High tees support the school’s music program. Our favorite part of the experience, though, was the scents. Whether it’s the unexpected but light fragrance of Ursa Major skin care or the comforting clove scent of Great Bear Wax Co beard oil, these are smells we want to come back to. The Dragon’s Blood candle was a particular favorite, and Duquette described the scent as a combination of patchouli and blood orange and some other things we can’t remember. But the smell continues to haunt us in a good way. We’re usually quick to write off patchouli, but this version is deeply hippie chic. Not unlike the shop’s “supplies and vibes” tagline. Avondale’s been lauded as “Birmingham’s Brooklyn“–and we’re inclined to agree–but that makes us wonder what the pop culture avatar is for Woodlawn. With its combination of historic charm, new ideas, and thoughtful development, it may be its own changemaking symbol. Levy’s Fine Jewelry downtown stands alone. Literally. It stands not in a neat commercial row but as the only store on its block of 2nd Avenue North. That’s fitting for a store that’s been a longtime fixture of downtown Birmingham and offers pieces from many of its eras. We’re quick to celebrate the grand repurposing of our city’s past, particularly in this downtown Loft District. But it’s also nice to celebrate a place like Levy’s that’s weathered the last century more or less intact. And should you be contemplating a very special holiday purchase, we recommend thinking of Levy’s long history as a wonderful metaphor. This shop is a place that has lasted, after all. Not impervious to change, but strong enough to adapt with it. Not that you need metaphors to appreciate the global antiques or rows of jewelry sparkling in its window displays. The baubles speak plainly enough for themselves. But if your special person is the kind who loves living in a neighborhood with a past, with the crafted details now rarely produced, Levy’s is the best possible source. Even the relative simplicity of a large 1940s solitaire (sold, unfortunately) has an unexpected depth. In a 1950s setting, a ruffle of diamonds hugs an emerald set in platinum with a serpent motif. Both as interesting as they are lovely. And if a very big gift isn’t on your shopping list, there are plenty of charming everyday options with a nice patina. Cufflinks, say, or a delicate pendant. Perhaps our very favorite thing about this store–besides the fact that it has a matriarch—is its business strategy. 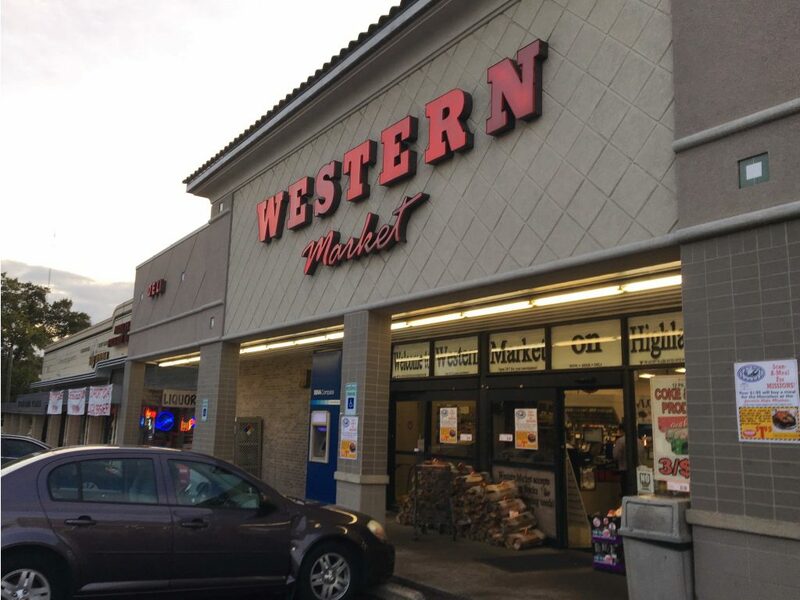 As described in this BMetro feature, the shop has managed to blend its lovable storefront retail with lucrative trade show sales. One foot in local tradition and one in the wider world, which is basically the model for our reviving downtown district.